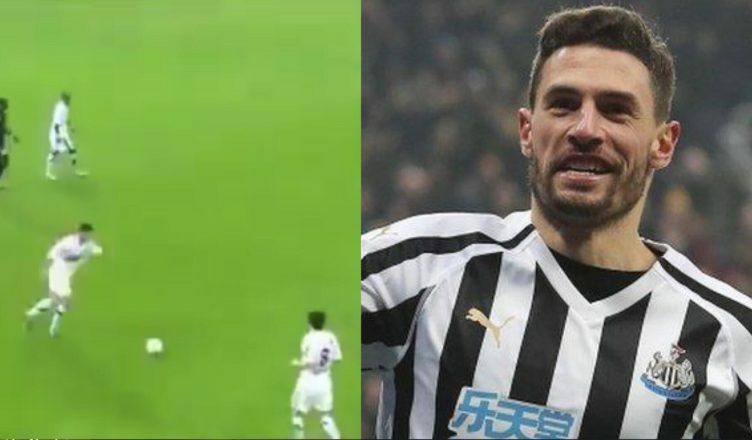 Amazing clip emerges of Fabian Schar scoring from 65 yards – Watch incredible goal here – NUFC blog – Newcastle United blog – NUFC Fixtures, News and Forum. Fabian Schar may have scored a stunner on Tuesday, but it seems this isn’t the only impressive long-range strike on his CV – with a clip emerging today of him netting from his own half back in 2011! This was him at just 20 years old, and it seems moments of brilliance like this was part of the reason he was snapped up by Swiss giants Basel just a year later. One thing that must be said about Schar is that he’s not only proven himself as an impressive ball player and scorer of great goals, but also a player who’s a more than capable defender. He may have made the headlines with a great solo goal in our 3-0 win over Cardiff and once again for his 30-yard thunderbolt to help us beat Burnley in midweek, but he’s also standing up to the physical test of the Premier League brilliantly, being a big part of what’s been the 5th best defence in the top flight this season. What a signing he looks to be for just £3m! Wow! Look forward seeing that at St. James’ Park anytime soon.